ITV joins NewTV, the smartphone streaming service designed to take on Netflix | What Hi-Fi? There will be a subscription and ad-free model, with the service launching in 2019. Disney, Fox, NBC Universal, Sony Pictures, Paramount and Warner Media are all involved. ITV, along with others including Disney, Fox, some Wall Street banks and the wealthy Walton family, has made a combined $1bn (£770m) investment into a new video streaming service called 'NewTV'. 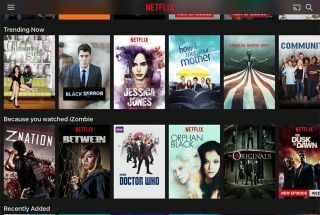 Although the name might be temporary, the message is clear: try to win over customers watching on mobile devices and tablets who are deeply allied to Netflix's service. The platform is being launched by Jeffrey Katzenberg (co-founder of movie studio DreamWorks), with former Hewlett-Packard and eBay boss Meg Whitman as chief executive. Set to launch in 2019, NewTV will aim to use the talent and intellectual property of its partners to create new content - at a cost of $15m per season, according to The Guardian. Original shows will be 15 minutes in length, so they can be viewed quickly and easily on smartphones. The service will be tiered into two subscription models: one with advertising, one without. The combined weight of NBC Universal, Sony Pictures, Viacom (owners of Paramount Pictures and Warner Media) alongside Fox and Disney could make a dent in Netflix's dominance, although it will be interesting to see how media giant Disney in particular contributes. Disney already has its own streaming app, DisneyLife - for movies, kids' TV shows, and music - as well as investments in Netflix and Amazon Prime Video in the form of (for example) Marvel comic book adaptions. Marvel is owned by Disney, and currently has shows such as Daredevil, Jessica Jones and Luke Cage on Netflix. Meanwhile, Amazon Prime Video is serialising an adaption of the Cloak and Dagger characters. This won't be the first time ITV has invested in new streaming services either. In collaboration with the BBC, they launched BritBox - a subscription service showing classic British shows - for viewers in the US and Canada. Similarly, greater investment has been made into FreeView to tackle Netflix's dominance, making FreeView a ‘fully hybrid platform’. Will Apple stop bundling headphone dongles with future iPhones?